My paternal grandparents and his family lived during the time of partition when India split into Pakistan, India and Bangladesh in 1947. There was a massive displacement and movement of populations across the borders, mostly Muslims, Sikhs and Hindus uprooting from ancestral homes to get to the other side of the border, fearing religious persecution and death. At the time there was significant violence at the border crossings ranging from altercations between civilians to armed mobs stopping entire train loads of and killing as many as they could. Through some small miracle my grandfather’s family escaped most of the violence and resettled in what would be their new home. My maternal grandparents took a more torturous route to survival. 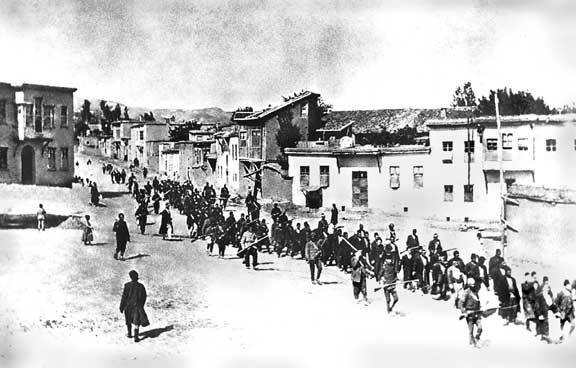 Although my maternal grandfather’s story is not documented, my maternal grandmother recalled well her journey as an Armenian child in the Armenian Genocide of 1915. Her family was uprooted from their village in Anatolia. She was the youngest in her family and barely remembered her parents and older siblings. All she recalls is the story the Armenian Orthodox nuns in her orphanage told her of her delivery to Beirut, Lebanon as a young child by a Bedu family. They had disguised her as one of their own and spirited her away at the insistence of her parents who feared a bad end. They had even refused payment of golden bangles and delivered those to the orphanage as her familial keepsake. These Muslim tribesmen had helped a scared Christian girl escape certain death at the hands of the Ottoman Turks. Because of strangers who didn’t turn a blind eye, fifteen descendants walk the Earth today. I am one of them. It is an odd flavor of fortunate I feel to be alive. Because of those strangers, how could I do any less?